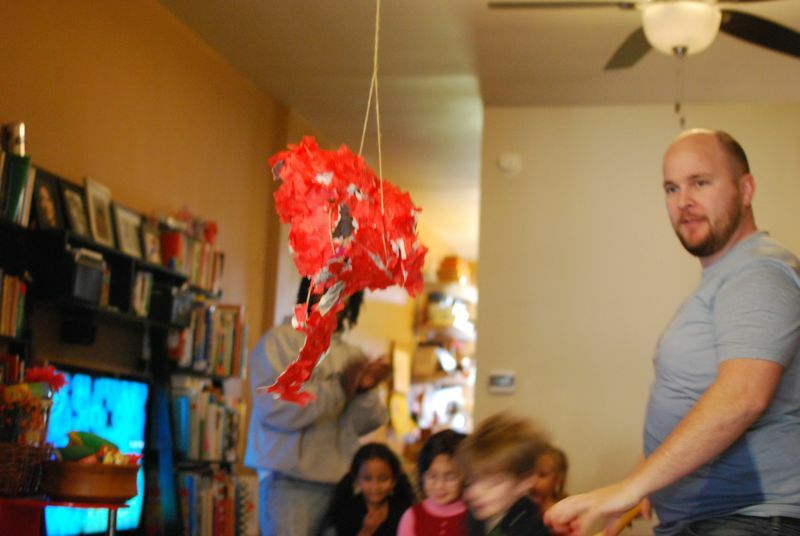 Pinatas are always a part of birthday parties at our house. At this point, we have a hook permanently affixed inside our house just to hang them! One day I came across a used copy of Pinatas by Virginia Brock and thought hey, why not?! It seemed like something fun we could do all together and a great way to save fifteen bucks! The foundation of the pinata is just simple papier mache but papier mache is not for the faint of heart. What a (very serious) mess! Messy but fun and not hard at all. 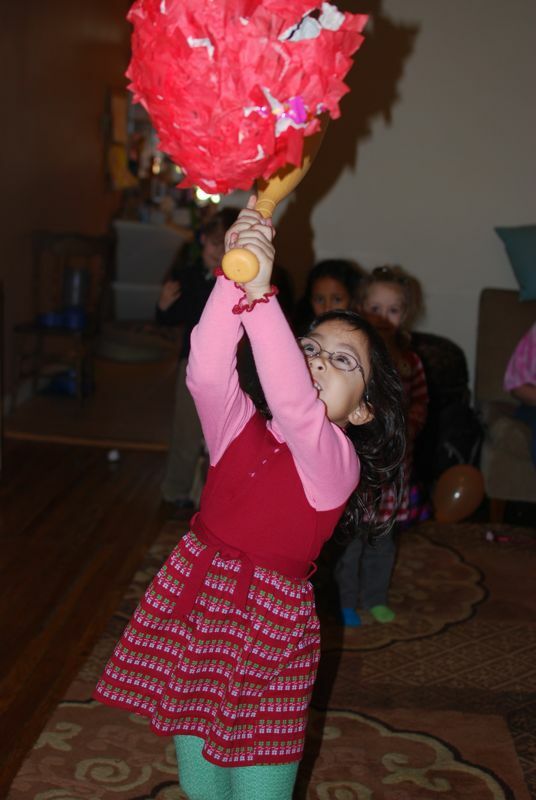 Luckily we needed a strawberry pinata for a Strawberry Shortcake themed party and a simple balloon shape lends itself nicely to that. We wrapped the balloon in two-inch strips of torn newspaper dipped in a paste made from two parts water and one part flour. We covered the whole balloon in two or three layers of paper strips except for a small opening in the top large enough to fit the candy through. We let the balloon dry for 24 hours before popping and removing it. We wrapped the shape in twine like a present to make a harness with a loop at the top for hanging. Then we mixed up another batch of paste and stuck small squares of colored tissue paper on all around the balloon and let it dry again over night. On the day of the party all that was left to do was add a few finishing touches, the candy and then to give it our best shot! So much fun! which just released and, of course, on my blog neurosesgalore.com. But most of all I like having fun.